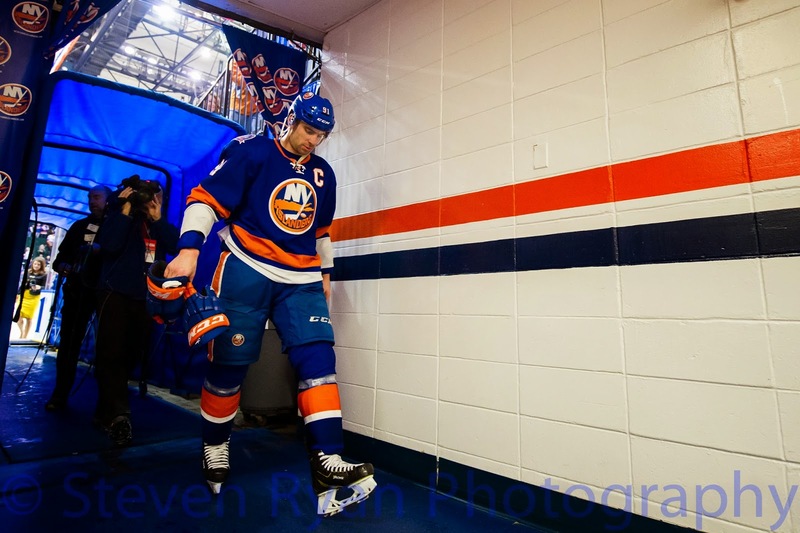 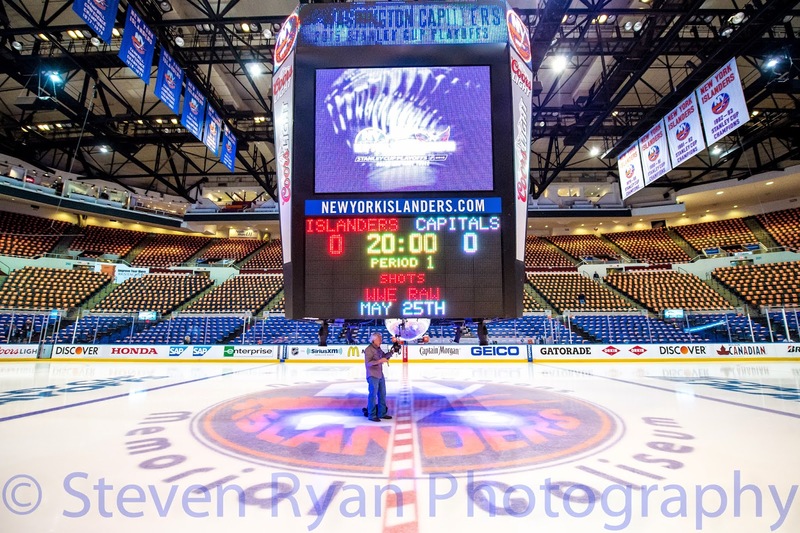 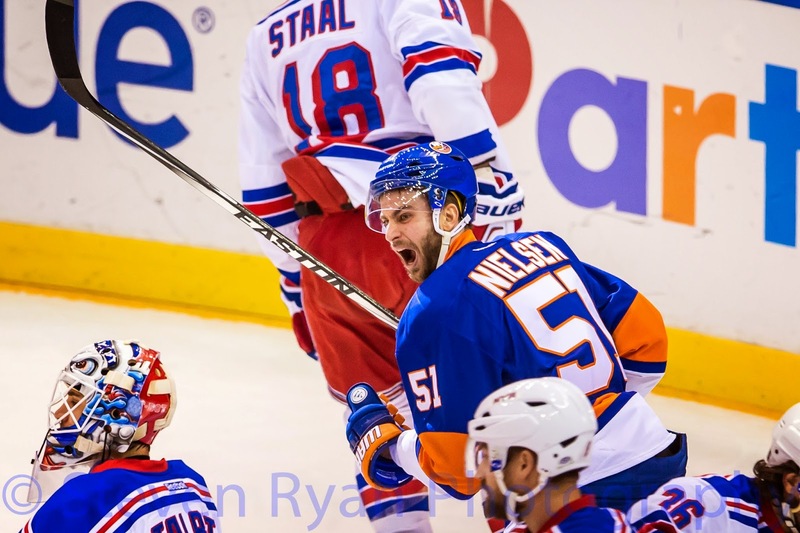 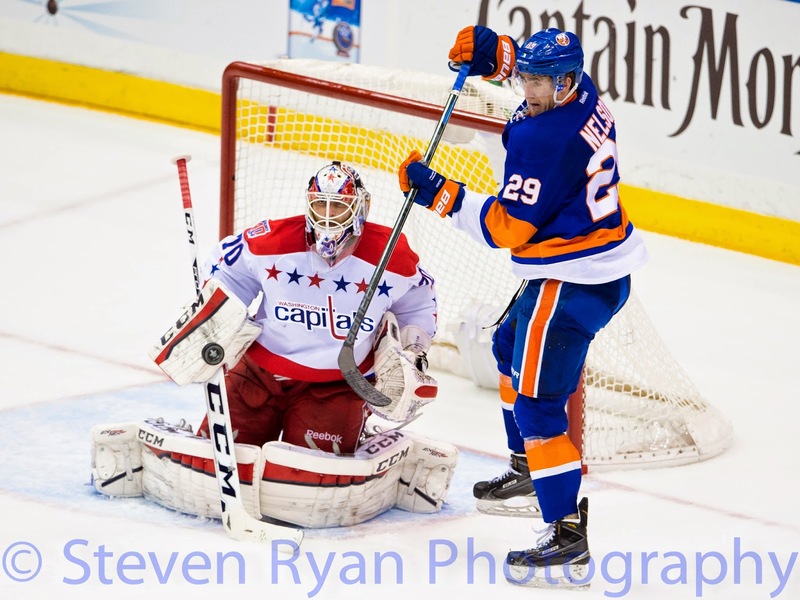 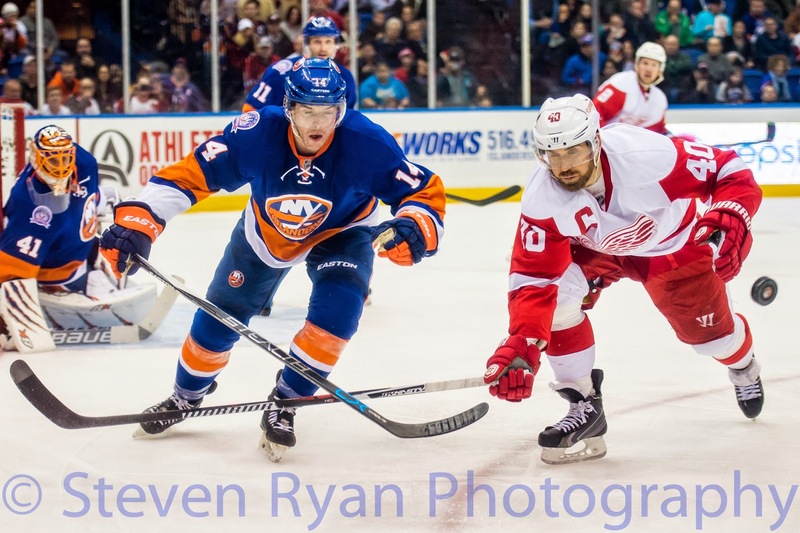 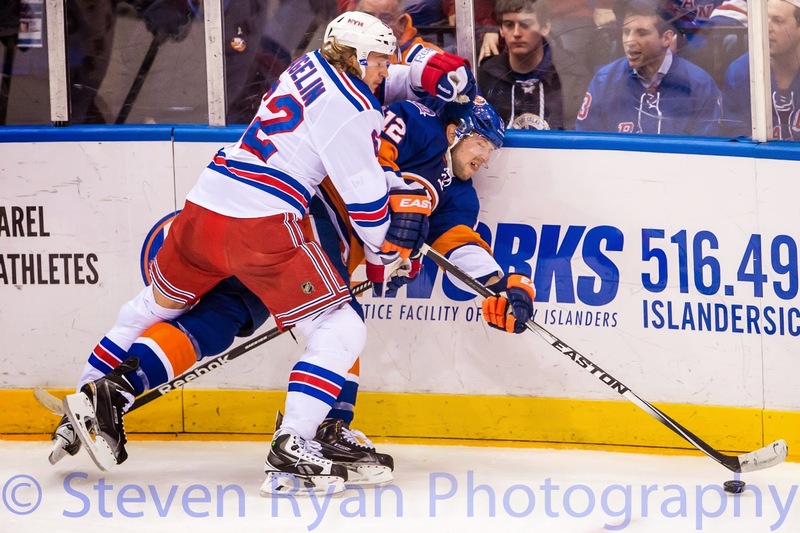 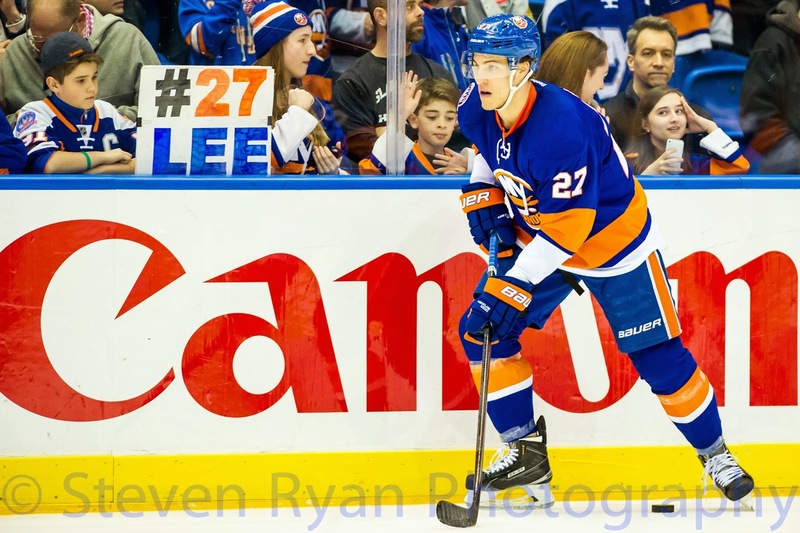 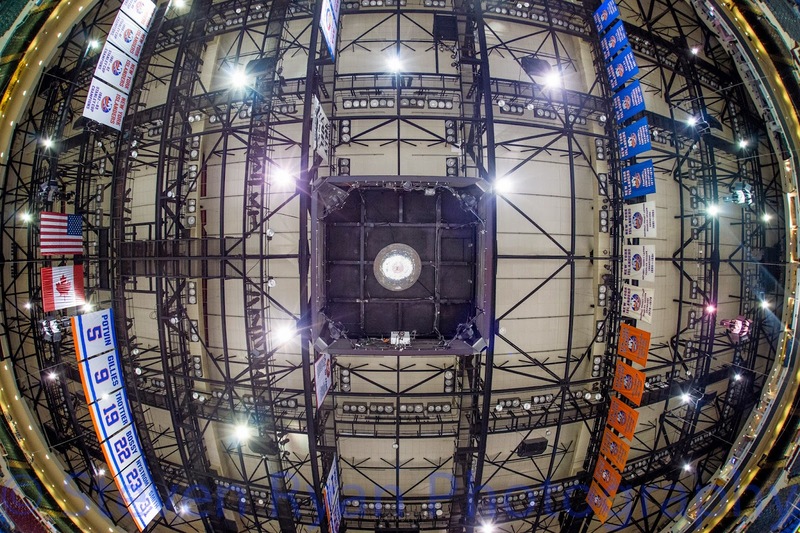 The 2014-2015 season was my first year working as an editor for the New York Islanders team photographer. 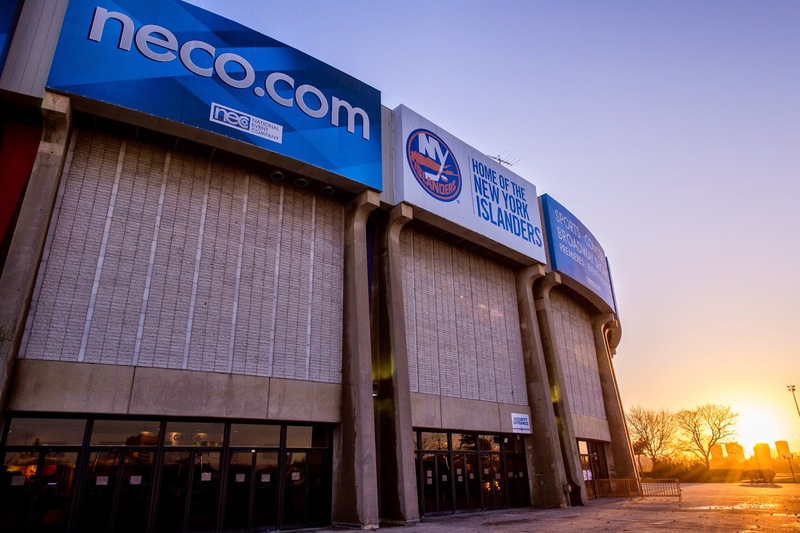 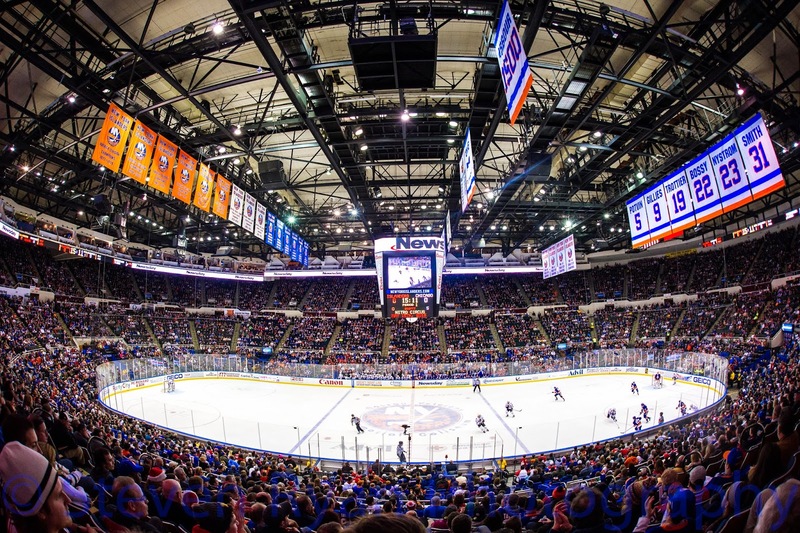 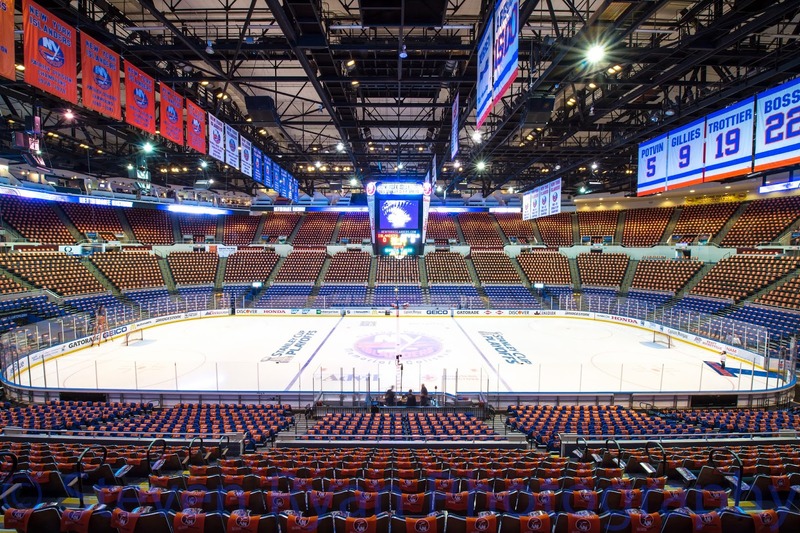 Unfortunately it was also the last year for the Islanders playing in their current home of 43 years; the Nassau Veterans Memorial Coliseum. 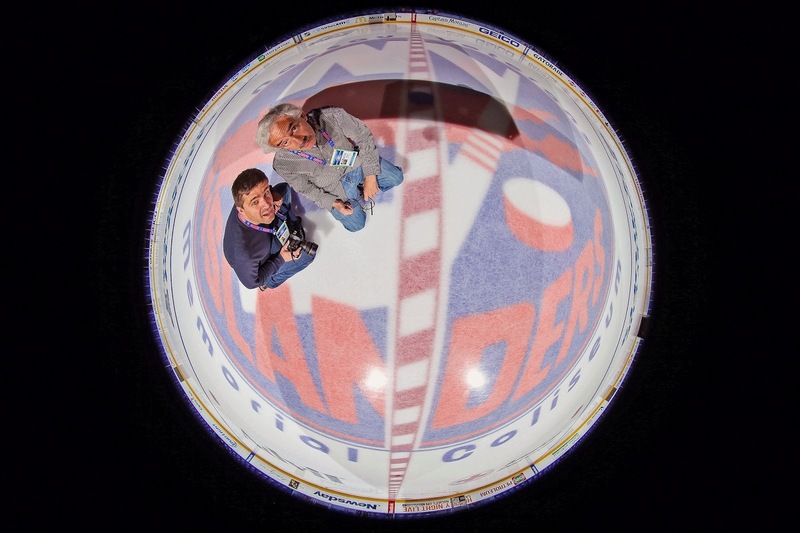 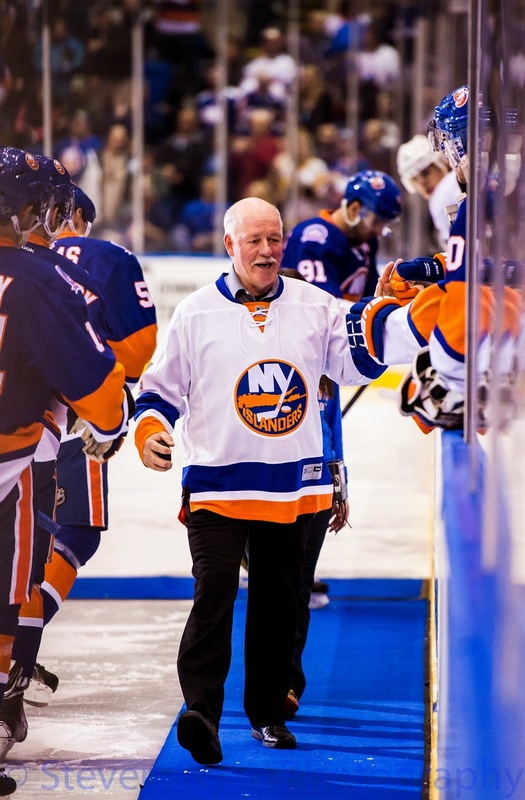 The year was an incredible learning experience as well as an amazing opportunity to capture some historical photos behind the scenes and of the Islanders in action in their final year at the Coliseum. 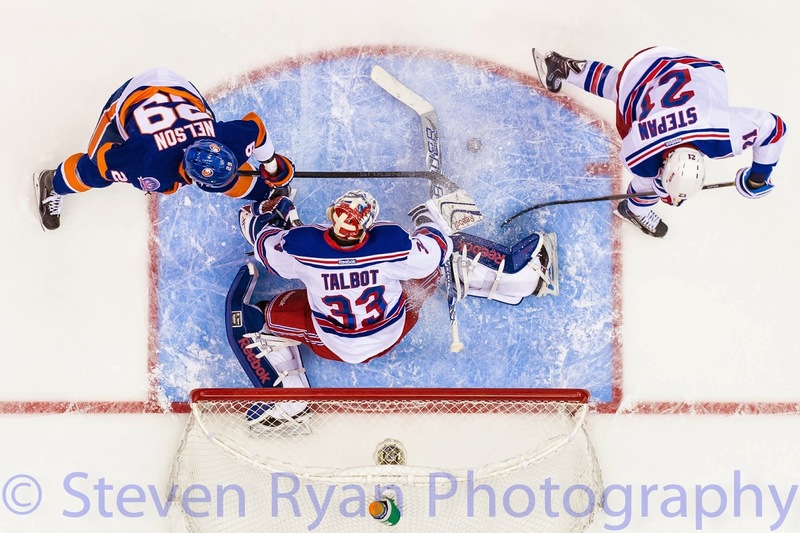 Below are some pictures from throughout the year. 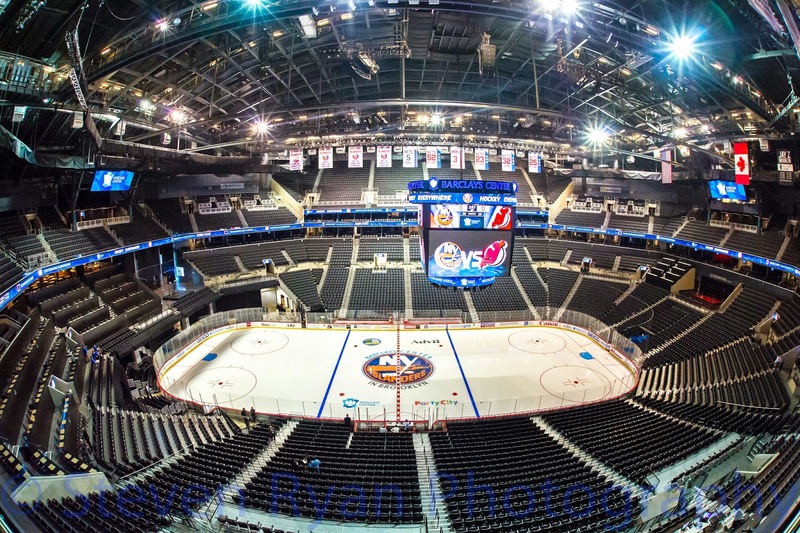 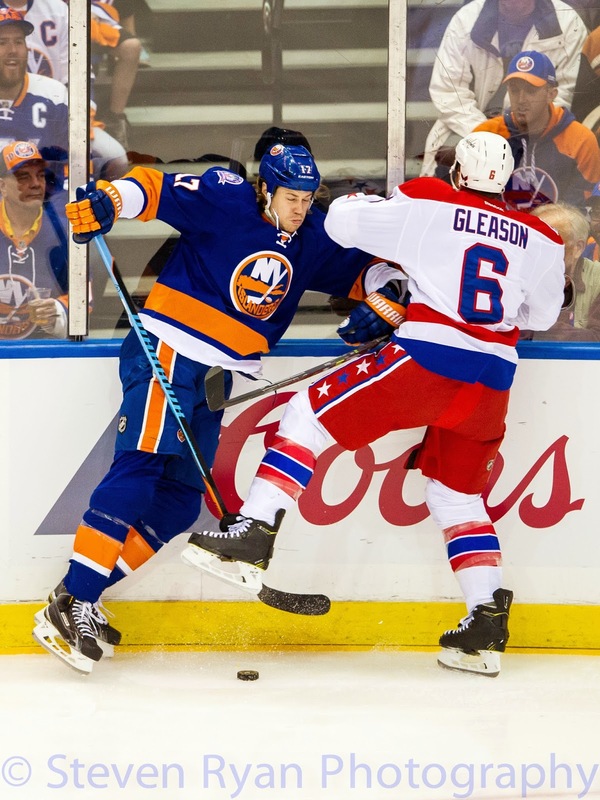 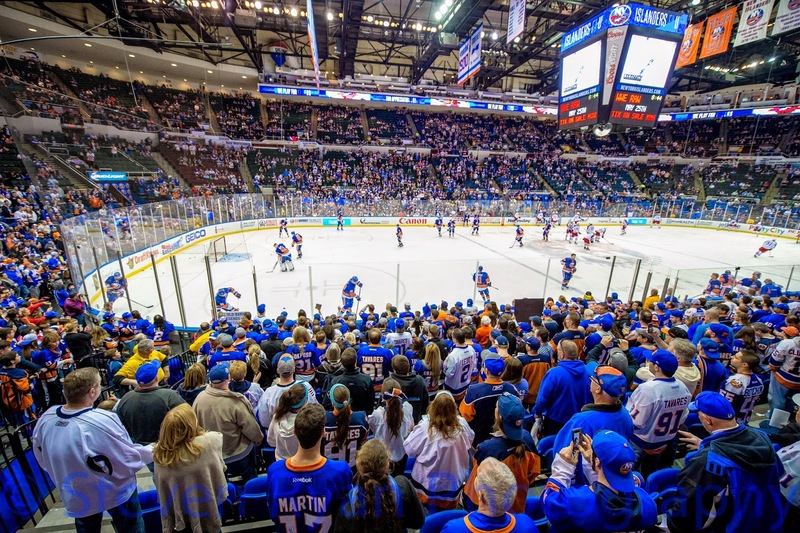 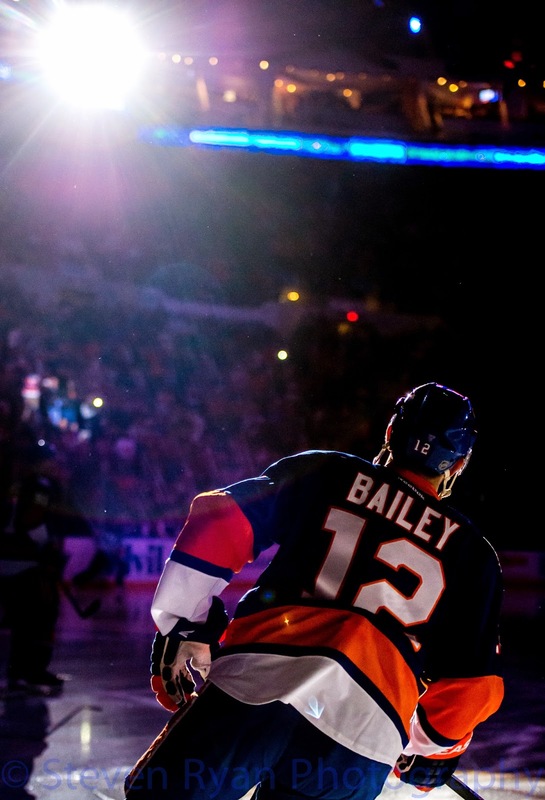 The year started out at Barclays Center, the new home for the Islanders, for a pre-season game against the New Jersey Devils. 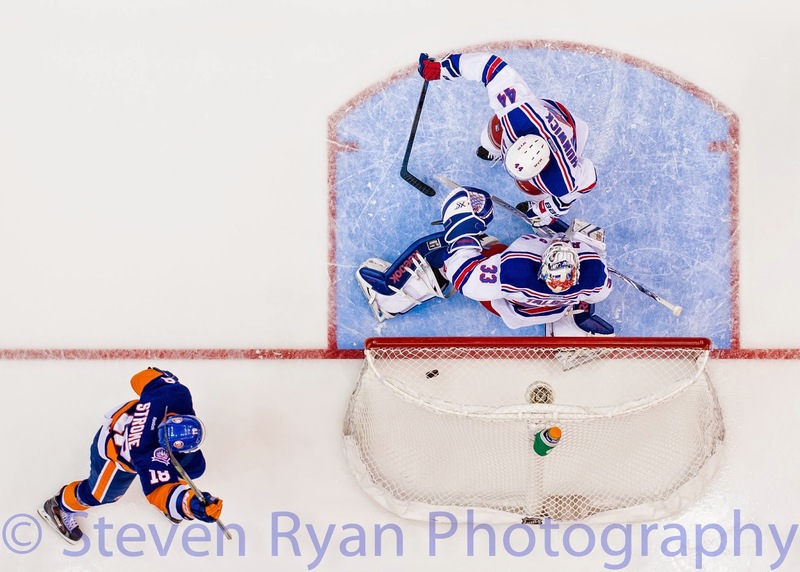 Here are some of my favorite shots from the regular season. 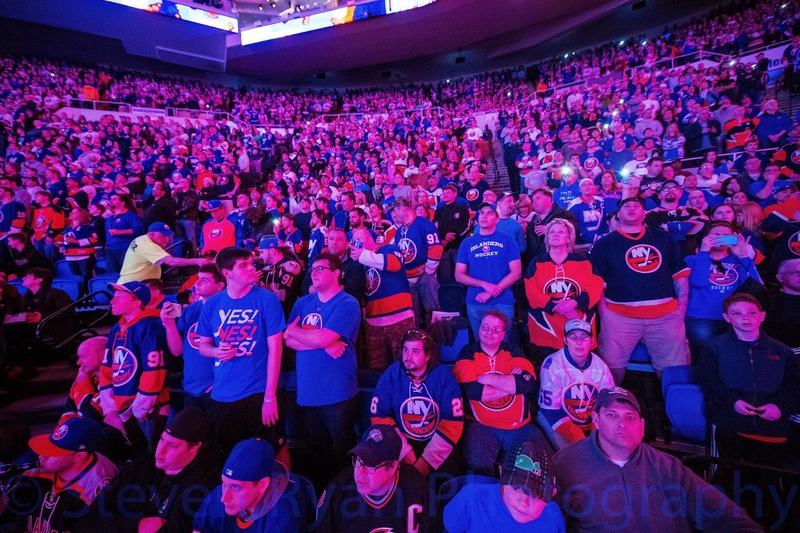 It's not easy to get a general view lined up perfectly at center ice during a game due to the crowd being in all the seats. 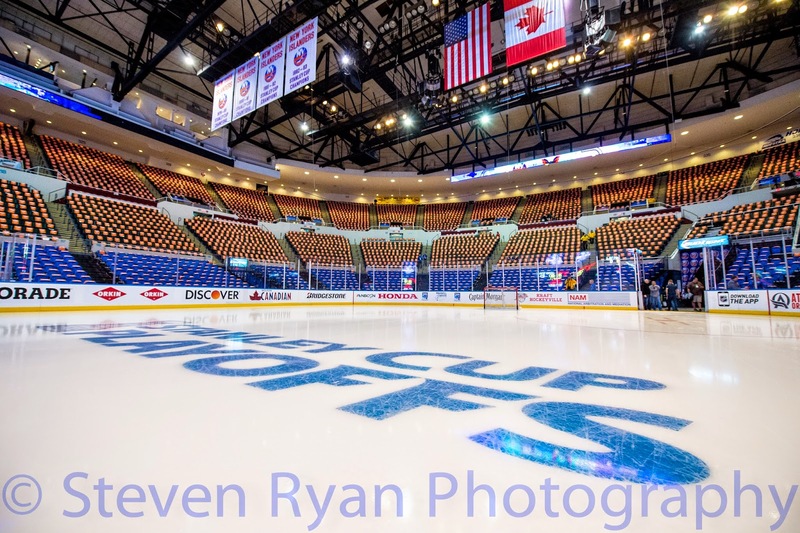 I got lucky to have an open seat right at center ice during the game against the Blackhawks this year to make this shot. 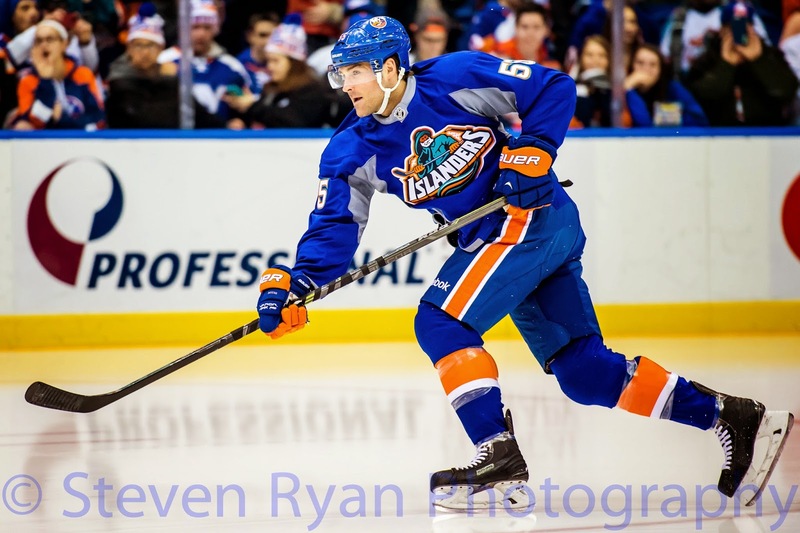 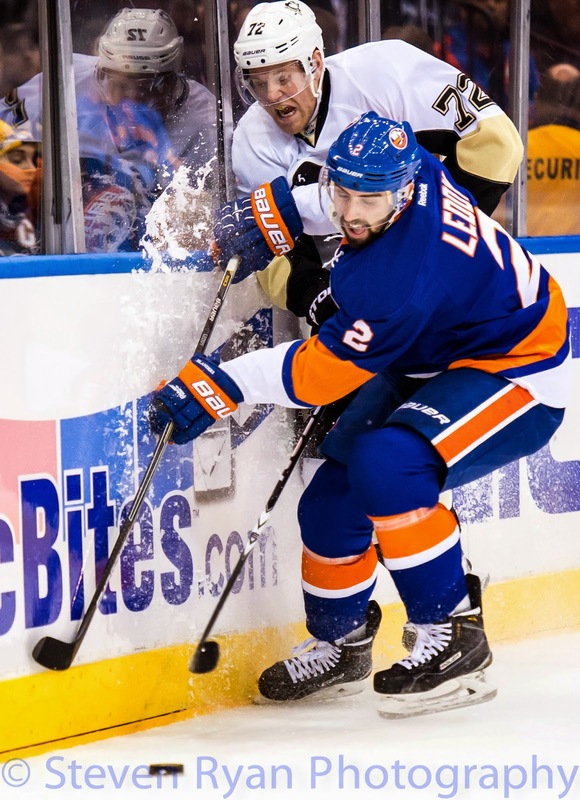 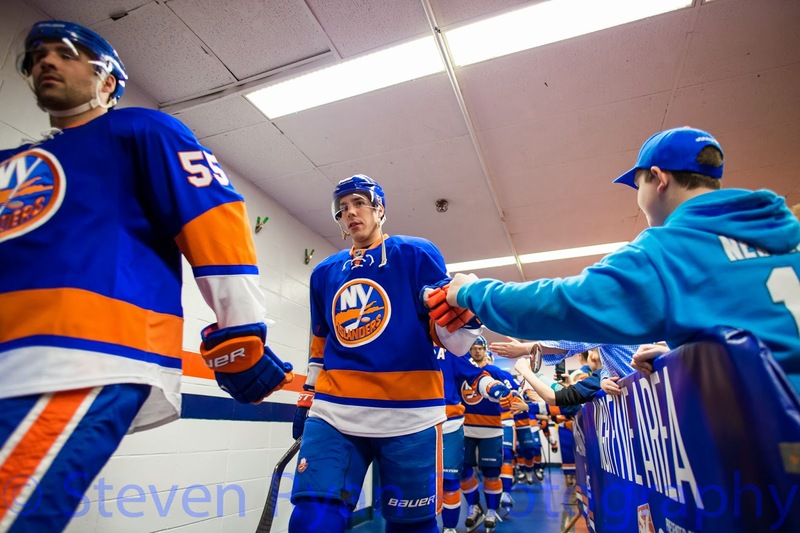 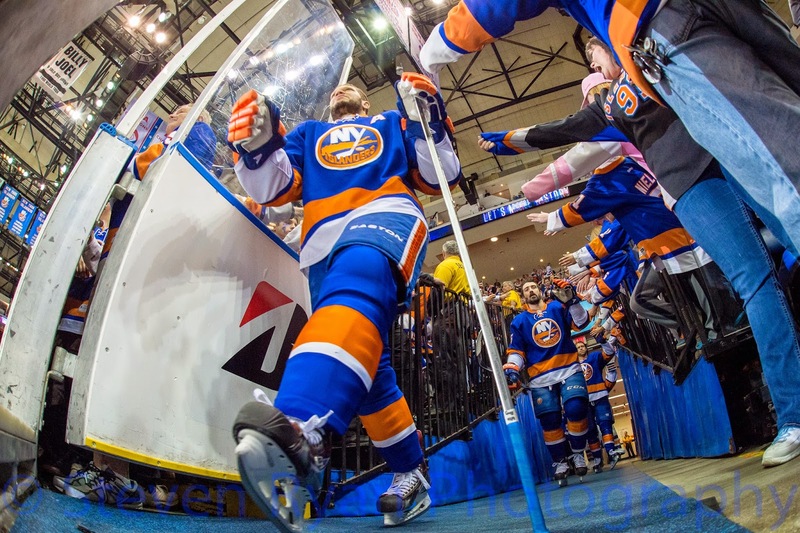 Prior to a game against the Panthers, the Islanders wore a warmup jersey with the old "fish stick" logo from the mid 90's. 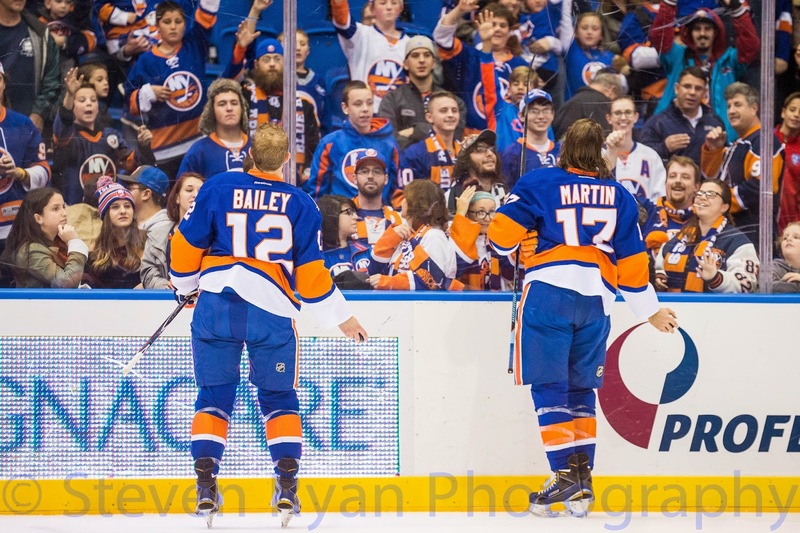 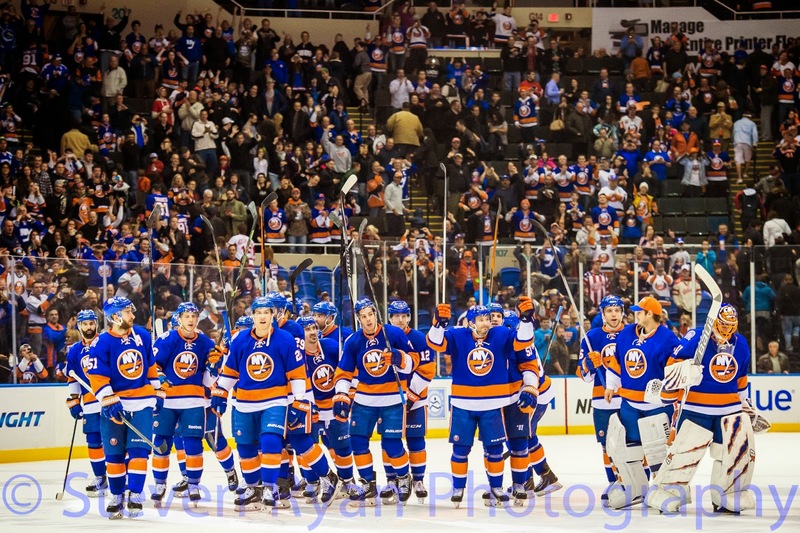 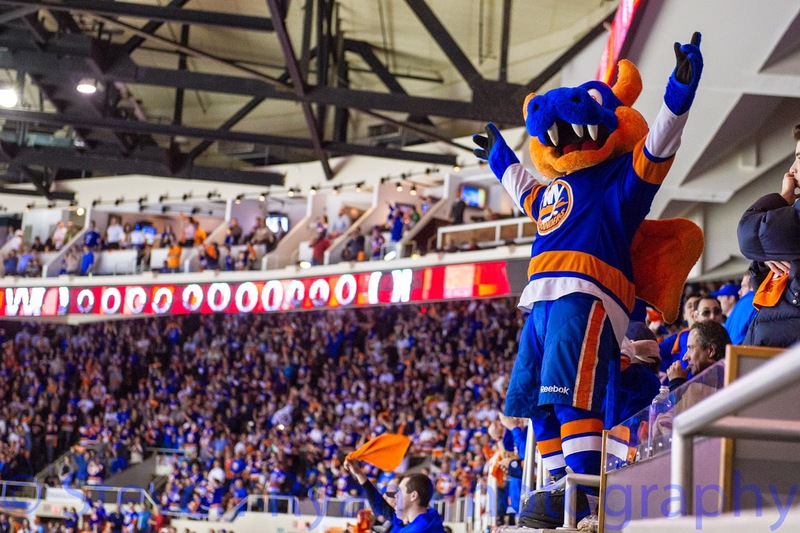 As the season progressed the "Yes Yes Yes" chant caught on and after every Islanders victory the team skated to center ice to acknowledge the fans and perform their own "Yes Yes Yes"! 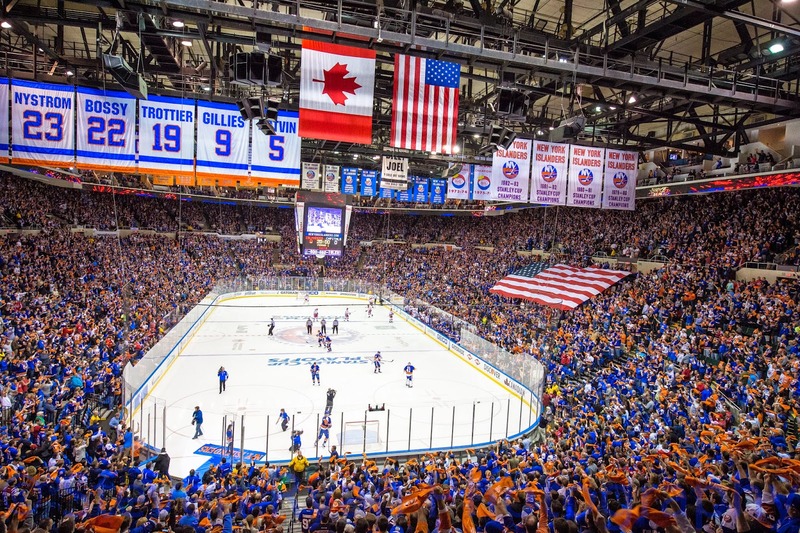 The final regular season game and playoffs had the Coliseum throbbing with noise and the fans provided some of the best atmospheres for a sporting event I've seen. 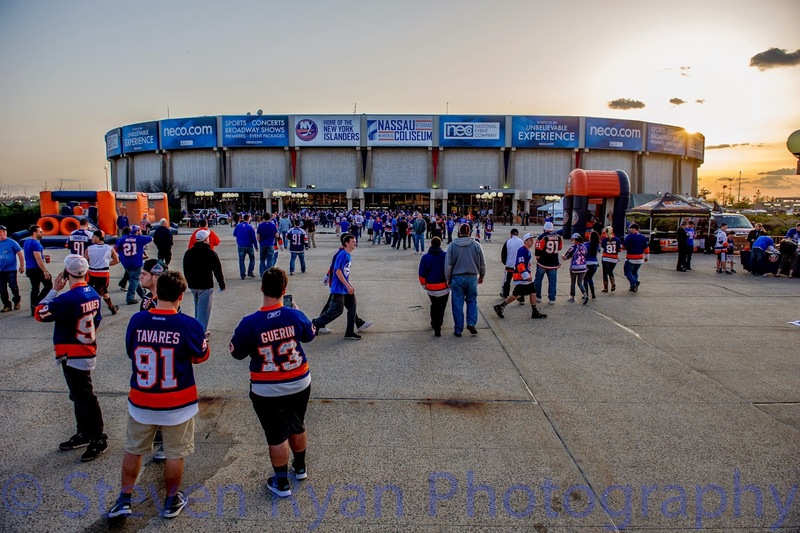 This was one of the last shots I took at the Coliseum, long after game 6 was over. 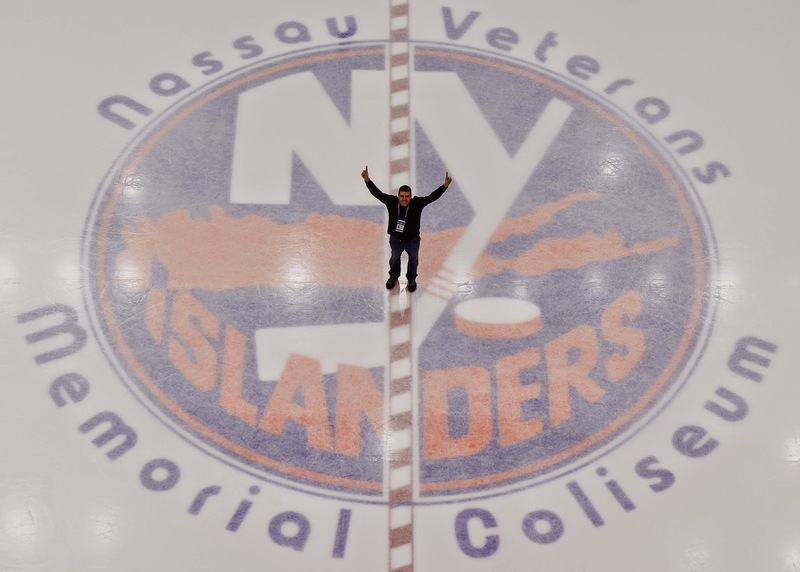 I went out to center ice, laid down and took this shot. 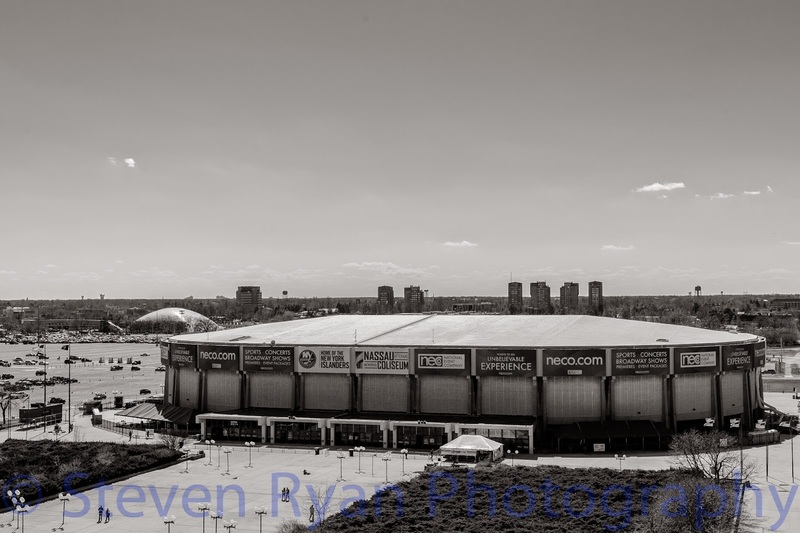 Was hoping to capture a little more of the arena, but still thought it was a cool photo. 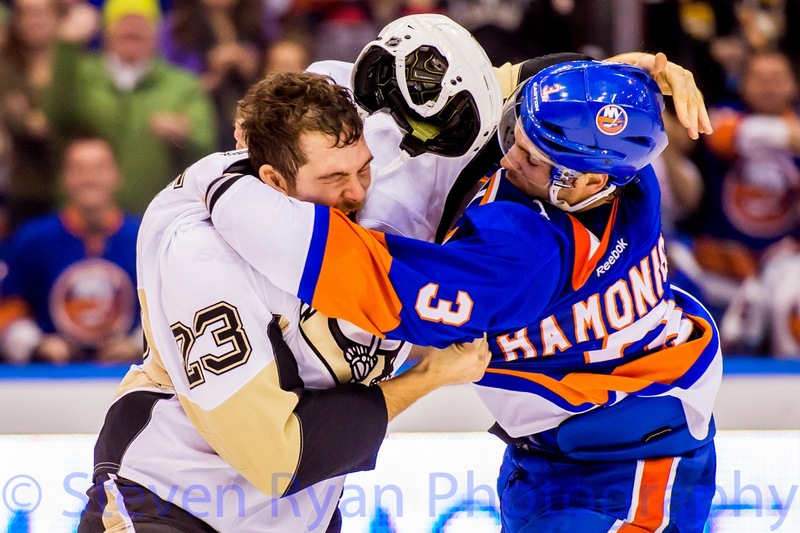 I even managed to make it into a couple of shots myself. 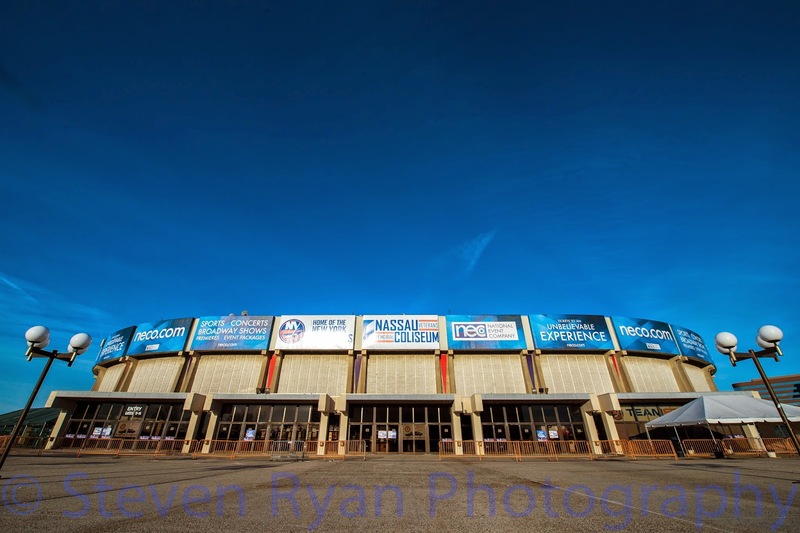 I'll finish off with a metaphoric sunset on the Coliseum. 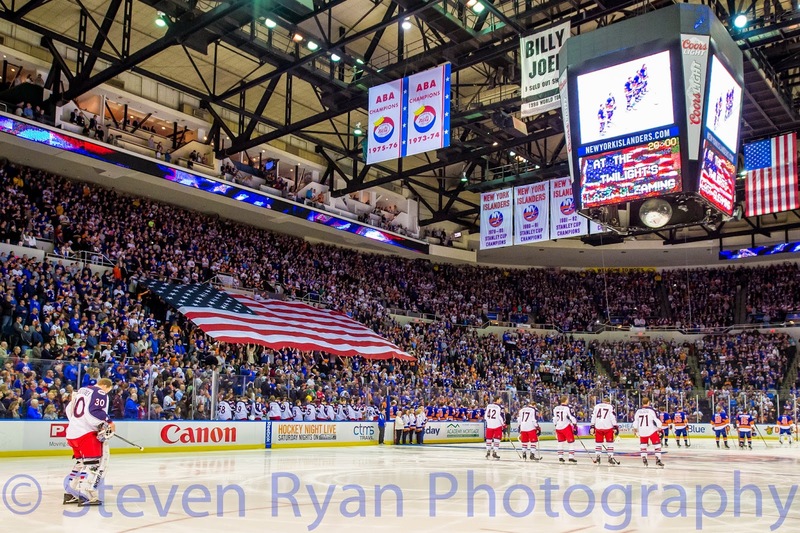 This season was a great experience and was sad to see it end in 7 games to the Capitals. 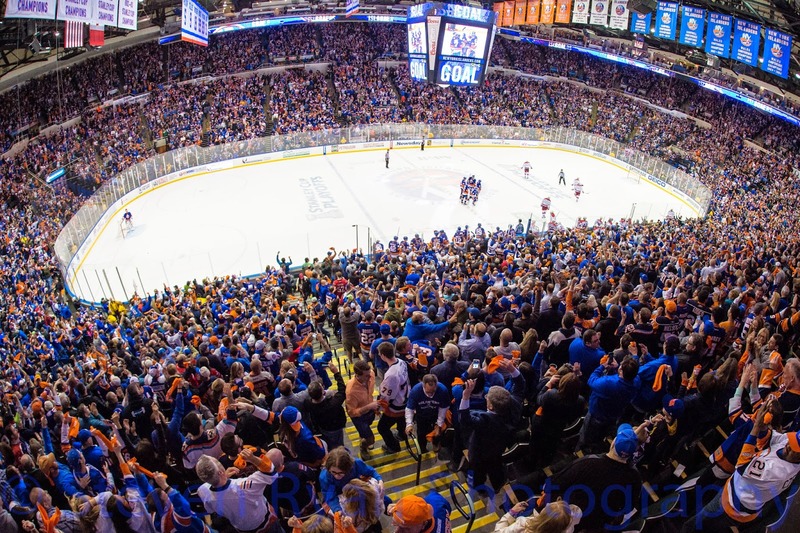 I grew to love the sport of hockey in the building and am very lucky to have had the chance to work there this year.